Traffic violations do not seem like a “big deal” until one receives a ticket. The person must then miss time from work, possibly attend traffic school, pay a fine, and possibly pay higher insurance premiums. Also, people who must drive for a living (such as taxi drivers, valets, and delivery drivers) may suffer problems with employment as a result of traffic tickets. Whether you live in Illinois, or if you reside out of state, infractions are something which must be dealt with and not ignored. As a Peoria attorney, I assist with issues stemming from traffic violations. My goal is to save you time, money, and future inconvenience. If you need to speak with a lawyer then contact my office today. 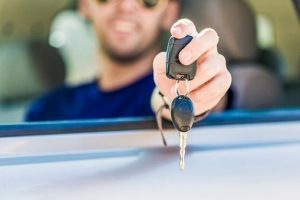 Failing to handle these types of issues promptly can lead to even higher financial penalties and possibly the suspension of your license. For these reasons it is important to retain an attorney as soon as possible. I am a Peoria traffic lawyer who works to gain the best resolution possible for my clients. As a former prosecutor with over twenty years of legal experience, I am familiar with our local court systems and I know what to expect from the process. I will take your matter to Court so that you may worry about the more important aspects of life. In addition to Peoria, I service the cities of Bloomington, Eureka, Galesburg, Morton, Normal, Pekin, Springfield, and Washington. We also serve the counties of Fulton, Knox, LaSalle, Marshall, Mason, McLean, Putnam, Rock Island, Schuyler, Stark, Tazewell, and Woodford. I also handle federal cases in Urbana. I understand that many people are frustrated by the poor level of communication which many lawyers provide. I strive to be different. I will return your phone calls and make myself available to answer your questions. I will make sure you understand the resolution of your infraction so that you can take care of any necessary fines as quickly as possible. I am ready to assist you.